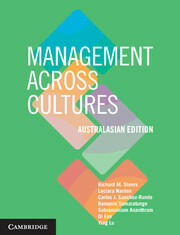 This first Australasian edition of the popular text Management across Cultures explores the latest approaches to cross-cultural management, presenting strategies and tactics for managing international assignments and global teams. With a clear emphasis on learning and development, the text encourages students to acquire skills in multicultural competence that will be highly valued by their future employers. As more and more managers find themselves becoming global managers, and in a world where practices and expectations can differ significantly across national and regional boundaries, this has never been more important. 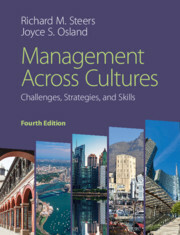 Rich in cases and examples, Management across Cultures integrates research from across the social sciences with contemporary management practices for a comprehensive overview of cross-cultural management.